Once I was able to voice control my home theatre PC, I still needed to use my remote control to turn on the TV and receiver. I wanted to rid my lounge room of remotes altogether, so I needed to find a way to get my computer to control the rest of my audio visual gear. I wanted to be able to control everything in the lounge room with just my gadget and my voice. It was logical to use Infra Red (IR) technology for this, because that is the only way we can control most AV gear currently. Often the buttons on a device (such as a TV set) don’t offer as many options as its remote control unit. 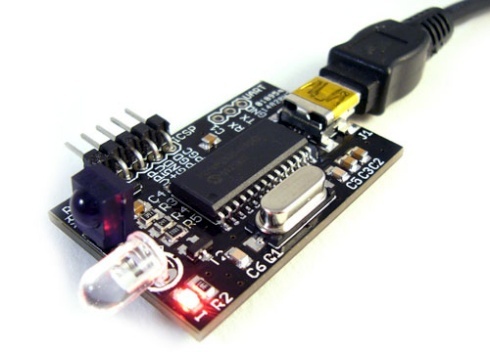 The USB-UIRT is a magic device that can send and receive IR signals. 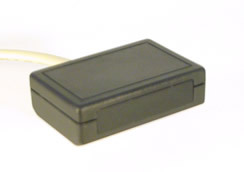 It connects to a USB port on our computer and enables us to send IR commands from our computer to our peripheral AV gear. It sits at the back of the room and has good range and reliability. This device removes the need for remote controls in our TV room altogether as we can tag a voice command to tell the USB-UIRT which IR signal or signals we want it to send. The result is that we can walk into the room, press the trigger button and say “TV on”. This will turn the TV and stereo on. When we say “I’m finished”, the TV and stereo will turn off. It gets really impressive when we start controlling our VCR, BluRay or cable box with voice. I have added some extra scripting which will enable just this. When I put a video into the video player, I can say “Video Player” and the TV will change the channel to AV, to show the VCR. I can then use the usual play/pause/stop/rewind/fast forward voice commands to navigate through the video. When I return to the media centre, the tape will stop, rewind and 3 minutes later, eject the tape and turn off. This is while all the other media centre voice commands are working as per normal. This article will show you how to setup the USB-UIRT to control your audio visual gear to control everything in your lounge room/home theatre by voice. The scripts need to be installed, and IR signals learnt, which is thankfully quite easy with to do with EventGhost. The speech macros have also been updated to simplify the commands to their shortest abbreviation. I have also included another speech macro which enables the “Play artist/genre/track” commands. It’s a bit harder for the computer to pick up the new commands, though they do work. The old commands still work and are worth learning because the computer is much more likely to recognise them. The commands will be progressively tweaked until each command is as simple as we can make them. It’s not far off as simple as it can get now. 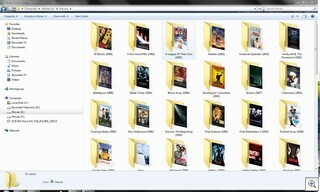 When I built my Windows Media Center PC, I was able to have the majority of features working as I wanted them to. This was using Windows Media Center 7, and a bunch of free applications working together. The only thing I could not get my HTPC to perform was to separate my recorded movies from the recorded TV. I then needed to put each of the files in a relevant folder so that Media Center Master would download the correct meta data. I performed this task manually for a while but knew there had to be a way to automate this process. After a weekend of research and testing, I finally came up with the 50 lines of script that complete the media centres autonomy. This has effectively eliminated the need for me to go into the backend of the media centre at all. All the data is moved automatically to the correct locations, making it unnecessary to control the system with anything beyond a remote control.